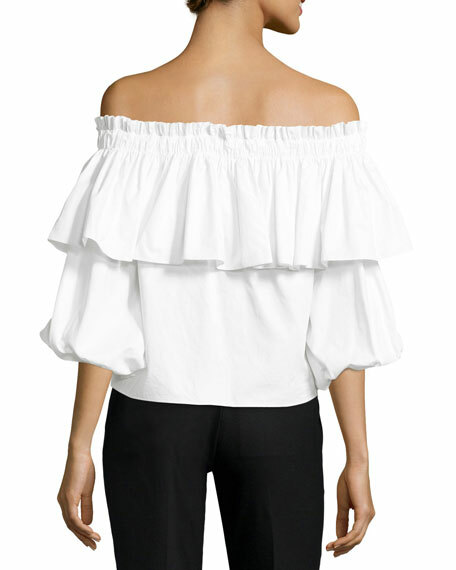 Alexis "Barbie" voluminous poplin top. Approx. 18"L from shoulder to hem. 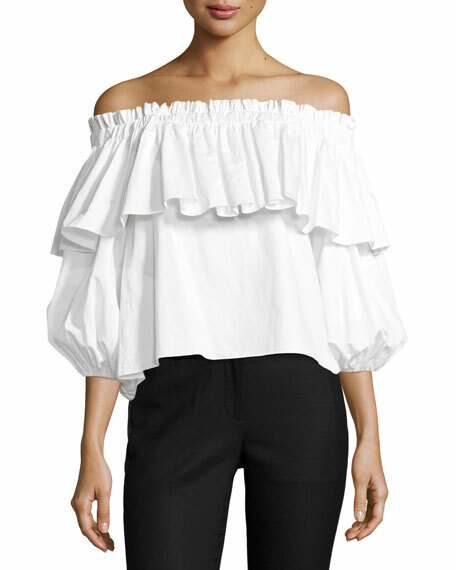 Shirred off-the-shoulder neckline with ruffle overlay. Three-quarter blouson sleeves gathered at cuffs. 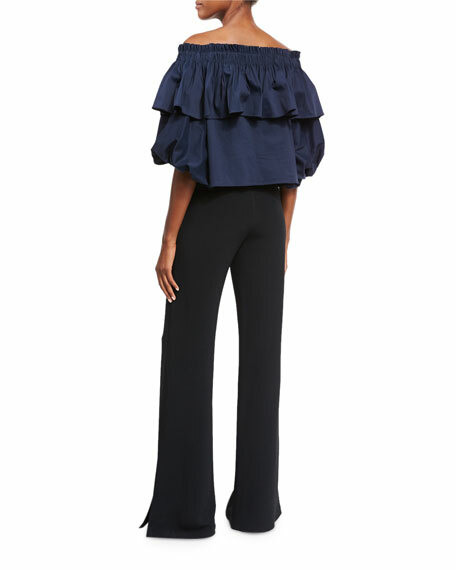 For in-store inquiries, use sku #2040448.